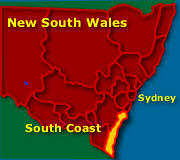 See map South Coast Map NSW. There are long, scenic beaches all along the South Coast. See more on Eurobodalla, New South Wales. Batesmen Bay - succulent Clyde river oysters. 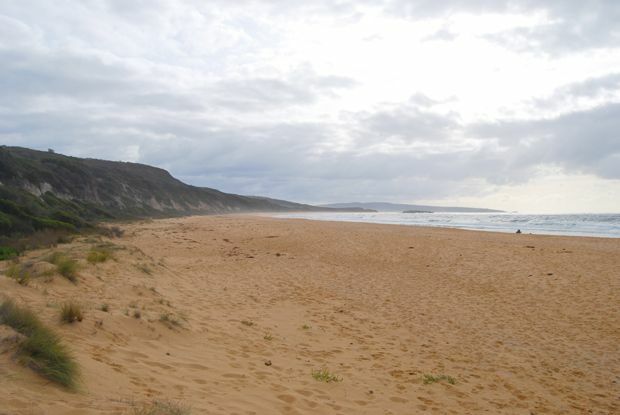 Tomakin, Mossy Point and Broulee - Seaside villages. Narooma - famous for its fishing - Montague Island Nature Reserve. Central Tilba and Tilba Tilba - Foxglove Spire Gardens. Sapphire Coast - 6 hour drive from Sydney, south. See more on Sapphire Coast. 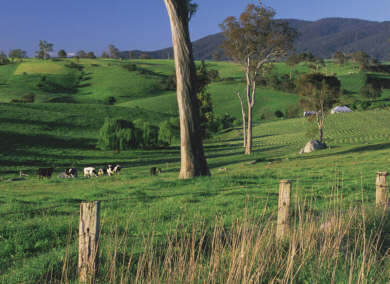 Bega - for some of the best cheeses, if not in the world, then Australia. Bermagui - famous for big game fish and game fishing, with charter boats and hire boats available. Mimosa National Park - rugged and scenic coast views. Eden - old whaling town - check out the whale museum. Boydtown - ghost town, surrounded by the beautiful Ben Boyd National Park, and the Boyds Tower. Sports and adventure tours available on the South Coast. Mountain biking through the mountains. There is a large variety of stays available in the form of everything from hostels and backpackers to farmstays, Bed and breakfasts, caravan parks, self contained units, hotels, motels and some very well placed luxury resorts. 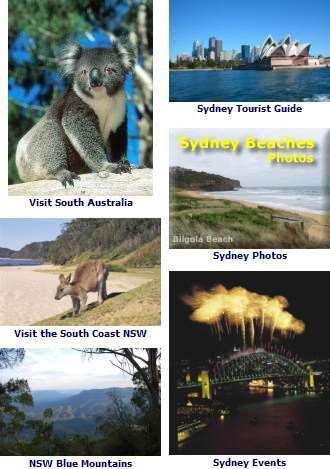 South Coast Maps, as well as South Coast National Parks, towns and places of interest, including Ulladulla, Kiama, Nowra, Bomaderry, Goulburn, Batesman Bay and Braidwood regions. Morton National Park is one the state’s largest parks with waterfalls and deep dense forests. See South Coast Maps.